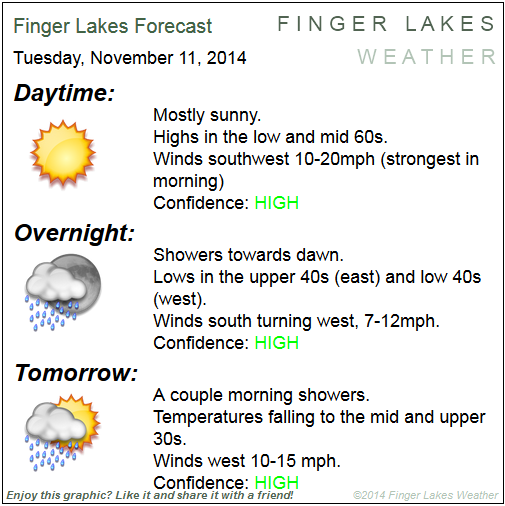 Finger Lakes Forecast for Nov. 11/12, 2014. 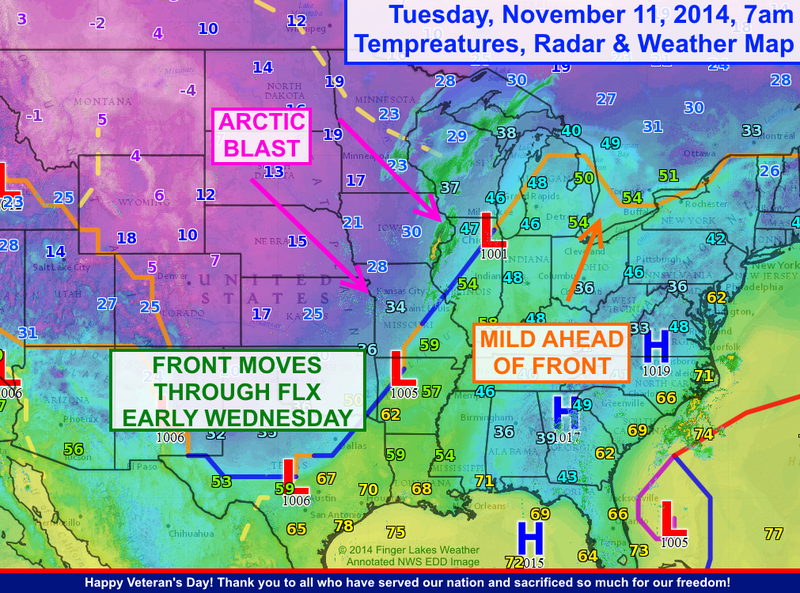 Arctic air is flooding the central US behind a cold front that will arrive in the FLX overnight. Click image to enlarge. 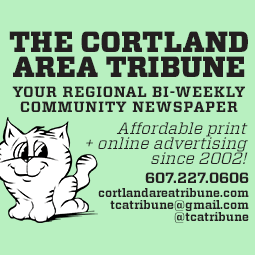 Skies will be mostly sunny throughout today. Sunny skies, southerly winds and above average morning temperatures should help temperatures into the 60s this afternoon. Clouds will increase after dark, but rain will not move in until well after Midnight. Rain will be light and scattered and may linger into the morning daylight hours, especially for the eastern FLX. 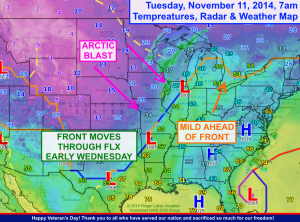 Temperatures will fall during the day on Wednesday, settling in the mid and upper 30s during the afternoon. Not looking forward to the colder weather…wishing we could squeeze just two more weeks of nice weather in…but alas….Mother Nature doesn’t see it that way. Thanks for keeping us up-to-date!